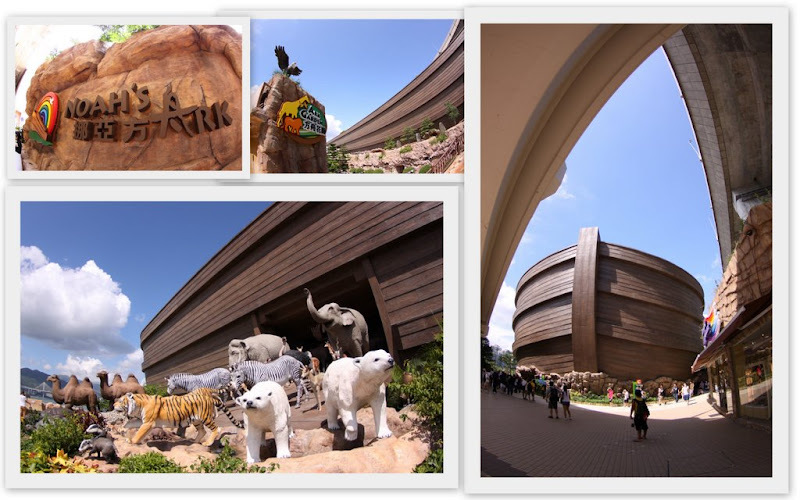 Believe it or not – Hong Kong opened the world’s first and only full-size replica of Noah’s Ark that was built according to the biblical dimensions. Parked on Ma Wan, Hong Kong Park Island, this Ark is the latest Hong Kong religious attraction (open end May 2009). God’s holy invitation has expired so now, anyone can enter this Ark. Same price for the saint and the sinful – Admission is only HK100 for adult and HK85 for children. It is pretty strange to see this holy icon at the foot of the highway bridges, I would have imagine having this built on the Peak instead! Well, the real Ark landed on the peak of Mount Ararat in Turkey some 6,000 years ago and remained one of the world’s biggest unsolved mysteries today. We have found the Lost Titanic. With today’s technology, mankind hasn’t been successful in rediscovering the Lost Ark. Over at Ma Wan – At the boarding gate, you see dummies of animals alighting the Ark – but no sight of the celebrated Captain Noah and his family. Inside the Ark, you find a world of surprises. There is a REAL mini air-con zoo with live birds, insects and small animals (Mmm…and fishes too! I don’t think Noah took the fishes with him onboard!). There are exhibit halls about the Ark. There are also halls voicing about maintaining a Greener Earth – kinda of a misplace here and I felt like visiting a kiddy Science Centre. There are also limited resort rooms (yes, like hotel rooms) which you can stayed overnight. And not forgetting a big function hall where you can host your own mini United Nation "Save the World" Conference. Somehow, the more time you spent at the Ark, the more you got lost (and for me, frustrated). Clearly, the Ark is a simple great theme-park concept. But to the people who run it, they are having a major identity crisis. 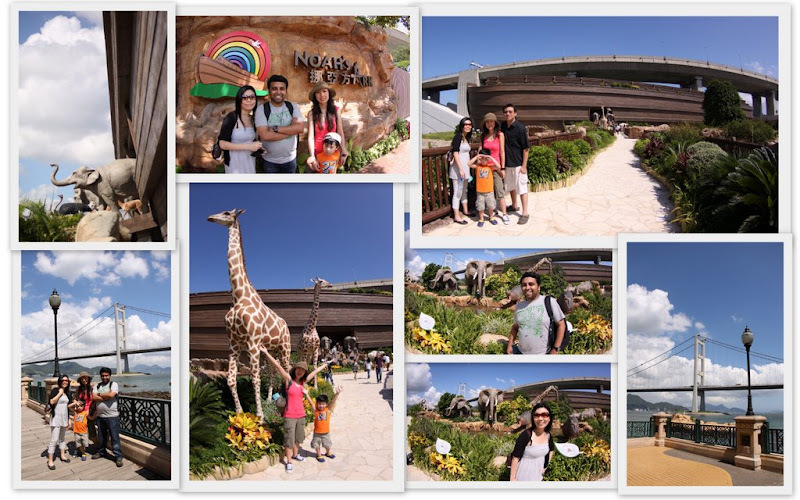 This theme park was 20% church, 10% resort rooms, 30% Science Centre talking about Green Earth, 20% Ark-related, 20% indoor zoo with tight small tortoring enclosures of animals. My God, the Ark isn’t the instrument to imprison lives. It is a portal of new Life. Let the animals go free! Perhaps, the people who build this are too greedy about what they want to show and tell. It was all over the place. And makes you left the Ark with an unsatisfied feeling. (It is like you paid for a Horror Film, you ended up watching Basic Instinct.) Even the souvenir shop doesn’t carry any "Ark" collectibles. No Ark magnet or anything related to the Ark. Anyway.. it was still a nice weekend getaway. It is a beautiful Ark. We should have 1 back at home!